Excerpt: The Consumer Financial Protection Bureau has announced a shift in its student loan oversight activities, and the federal government is also saying that states can't take on this role either. When your bank lends money to a consumer or business, it expects to be paid back according to the terms of the loan. Government-backed student loans are no different. Borrowers enter agreements to receive education assistance, and some may not hold up their end of the deal when the bill comes due. The lenders who have unpaid balances and loan servicers who have been struggling to reach these consumers may soon find some relief from several government actions. Students who take out federal loans for their education may not repay them according to the terms. The Department of Education issues billions of dollars in student loans annually. Most are repaid without issue, but a large percentage are not repaid according to terms for a variety of reasons. Outside companies receive contracts to collect these student loans, and these loan servicers are held to strict regulations in the ways that they are able to collect from delinquent borrowers. A year ago, the Trump administration rolled back redundant and unnecessary protections for consumers from these loan service companies. In part, the Student Loan Servicer Recompete press release states, "We must create a student loan servicing environment that provides the highest quality customer service and increases accountability and transparency for all borrowers, while also limiting the cost to taxpayers." Now, states are attempting to provide some of the same protections that were rolled back. Massachusetts is one state that is working on a bill of rights for students, and these laws are facing federal backlash. The Department of Education is telling states that they have no right to regulate loan servicers who are already following strict federal guidelines. The Consumer Financial Protection Bureau (CFPB), led by acting director Mick Mulvaney, has also announced sweeping changes to its student loan operations. If a borrower doesn't feel that they are treated fairly, they have rights that can be exercised now and the CFPB has decided to shift its role to one of an information provider. On May 9, Mulvaney announced that the agency would move its student loan division into the CFPB's consumer information unit. 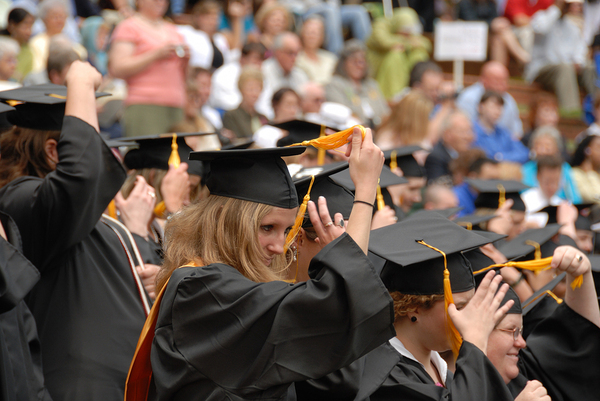 This means that there will be a shift to more education for student loan borrowers. In an effort to explain the reorganization and pullback, Mulvaney recently told the National Association of Realtors, "One of the reasons we made the change is so that we can emphasize education. We have an education component when it comes to student loans, and we have an enforcement component when it comes to student loans. And we will continue to do both of those things." The federal government says that states don't have the power to regulate federal student loan activity. The recent moves by the federal government, and particularly the CFPB, have received some attention on Capitol Hill. Several ranking Senate Democrats have sent a letter to Mulvaney asking him to explain recent actions regarding student loans, demanding that the agency turn over documents, and questioning a possible conflict of interest between two agencies. Sen. Sherrod Brown, D-Ohio, the Senate Banking committee ranking member, and Sen. Patty Murray, D-Wash., the Senate Education committee ranking member sent a letter to Mulvaney on May 18. Specifically, they asked him to explain, with documentation, how the CFPB's Office of Students and Young Consumers plans to meet its legal obligations to oversee student loan lenders and servicers. The letter, also signed by six other Democratic senators, asks Mulvaney to explain a possible conflict of interest. Specifically, Mulvaney is head of the Office of Management and Budget (OMB), which aims to collect on government contracts and protect taxpayer investments. As OMB Director, Mulvaney has a duty to protect taxpayers' investments in federal debt collection contracts. At the same time, Mulvaney is acting director of the CFPB, which is supposed to independently and fairly administer the country's consumer financial protection laws. The current controversy surrounding state's rights and student loan collection involves federal student loans, which make up a bulk of the outstanding balances of all student loans. When money is borrowed, it should be paid back. When a debt is ignored or is not repaid according to the loan contract, then debt recovery steps become necessary. Servicers spend millions of dollars to comply with collection rules and regulations. The collection practices employed are not only legal, they are required by the government. 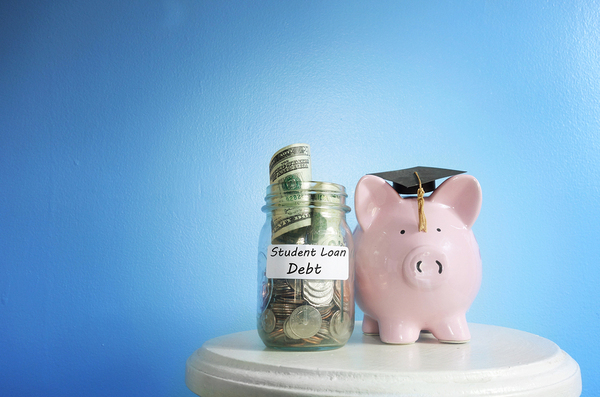 Not repaying student loans can have a negative impact on the general financial well-being of the borrower as well as the ability to borrow for other purposes in the future. Like a domino effect, these factors also impact the livelihood of student loan lenders and servicers. Whether a consumer wants to take out a loan for a vehicle or is looking for a mortgage, the treatment of student loans can affect these lending decisions. A whole loan broker can help banks and credit unions create the most optimized portfolio as economic conditions change. Sign up for our newsletter to receive more information about our loan sale advisory services.